This year, students from Bond University, Griffith University, Queensland University of Technology and University of Queensland will compete in the moot. 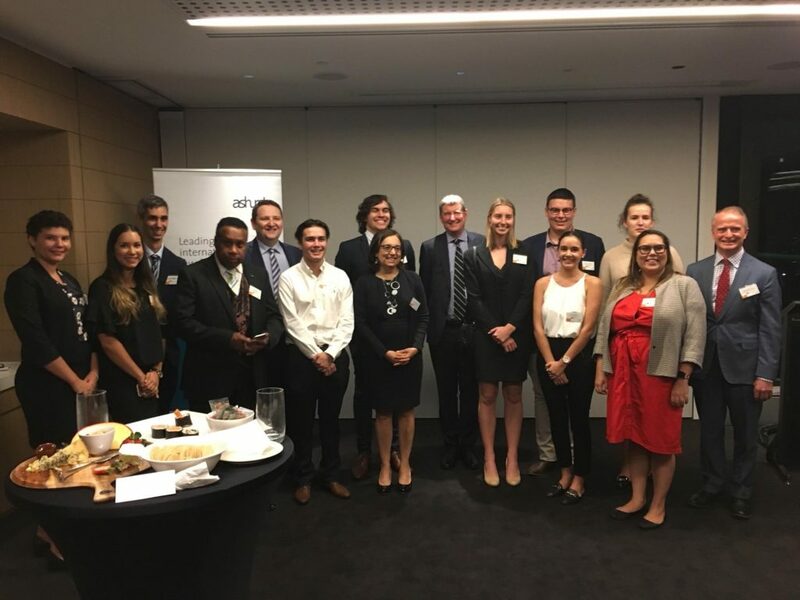 The mooting competition provides Aboriginal and Torres Strait Islander students with an opportunity for developing their advocacy skills as well as creating invaluable professional networks with the co-partners of the event. As part of their preparation for the moot students will participate in advocacy workshops with barristers from North Quarter Lane Chambers. The Honourable Justice Philippides of the Queensland Court of Appeal announced the illustrious final judging panel for 2018, consisting of the Honourable Justice Edelman of the High Court of Australia; the Honourable Chief Justice Allsop of the Federal Court of Australia and the Honourable President Sofronoff of the Queensland Court of Appeal. The Honourable Justice Greenwood of the Federal Court of Australia also attended the launch to support the students. This year’s competition will be held in Court 1 of the Federal Court of Australia, Brisbane on Friday, 3 August 2018. Students from left to right: Darci Perry, Tia Shadforth, Wyatt Cook, Isaiah Banu, Lachlan Ryan, Giselle Kilner-Parmenter, Martin Doyle, Naomi McCarthy and Cassie Bray. Absent: Talhia Cohen-Duke and Jordan Kilcoyne. In 2014, two of Australia’s top tier law firms, Allens and Ashurst were developing their respective Reconciliation Action Plans (RAP). 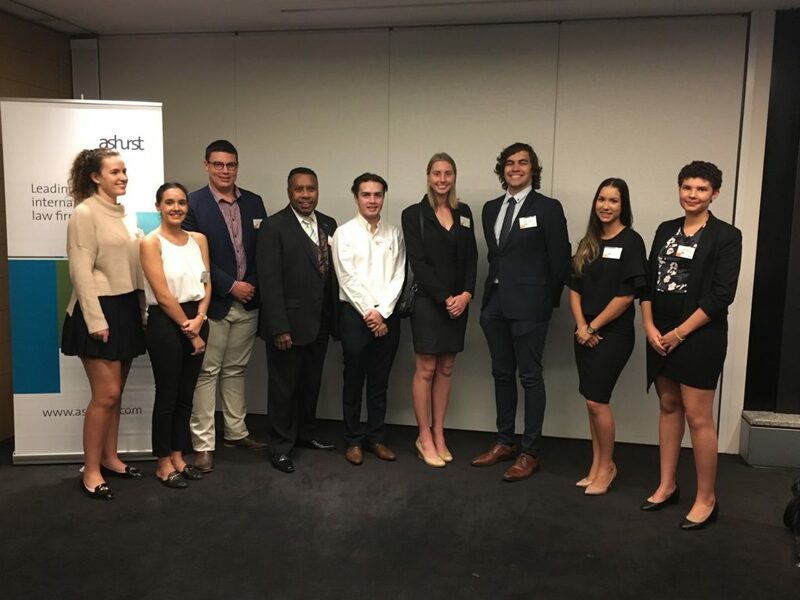 Upon realising that each firm shared a common goal of creating a moot for Aboriginal and Torres Strait Islander students, the firms worked together to develop the project. At the same time, the Bar Association of Queensland developed its inaugural RAP under the leadership of Ken Barlow QC, member of North Quarter Lane Chambers and Chair of the RAP Working Group. In 2014, Allens approached North Quarter Lane Chambers to assist in arranging the moot alongside Ashurst. In 2015, the partnership was expanded to include the Indigenous Lawyers Association of Queensland as another major stakeholder in the event. In May 2015, the inaugural Aboriginal and Torres Strait Islander Students’ Moot was held in the Banco Court of the QEII Law Courts Complex. The then Honourable Chief Justice McMurdo presented Candice Hughes and Michelle Rabbidge from the Queensland University of Technology as the inaugural moot winners. 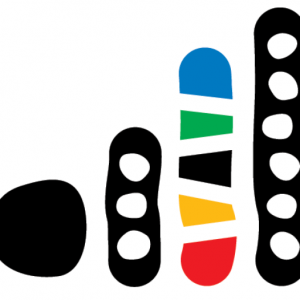 Since then, the competition has grown each year with Zachary Frazer and Mollie O’Connor from the University of Queensland being awarded the prize in 2016 and Nicholas Costello of Griffith University being awarded the prize in 2016.